When framing and matting a document or piece of art, it’s important to consider the value of the object being framed and whether the piece is going to be purely decorative or if preservation is important. For decorative framing, there are many matting options available to give your piece that special touch. Some decorative options include textured mats, such as suede, leather, or linen. Using a metallic-colored mat, selecting a mat with a different-colored core, or even using creative cutouts around the edge of the mat can give your art an entirely different look. It’s important to note that while many matting options are aesthetically pleasing, they may not be up to conservation standards and could end up damaging your piece in the long run. 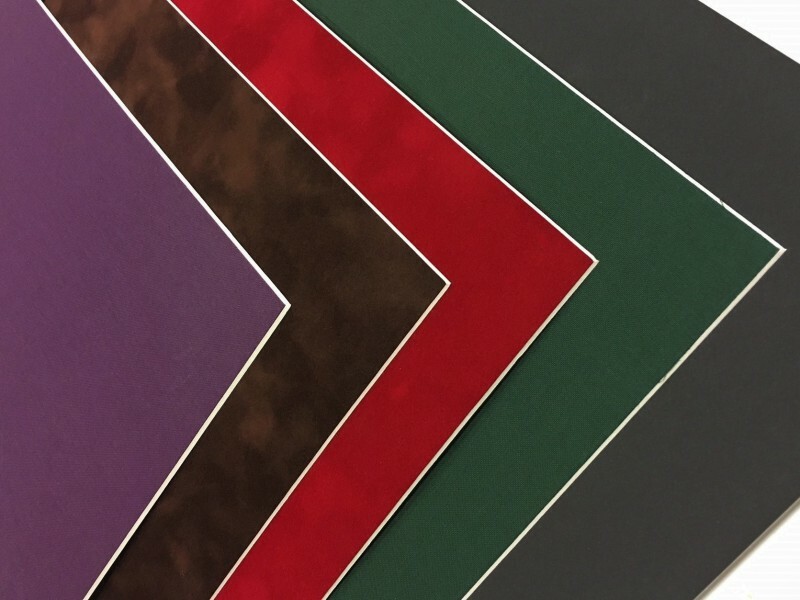 When selecting a mat, you must consider the value and importance of the piece to be framed and use this information to guide your matting choice. If the piece is valuable or something you intend to preserve for many years to come, choose your matting carefully. Begin by finding out if your mat choice meets conservation standards, meaning that it’s acid-free, lignin-free, and is inherently neutral, not merely buffered to a neutral pH level. Luckily, the mats we use for each frame are conservation-quality and will protect your valuable document. The two major effects of using non-conservation mat board include acid mat burn and discoloration. Acid mat burn causes yellowish brown stains to appear around the edges of the art or document where the paper comes in contact with the mat. If an acidic backing is also used, these stains will spread over the entire paper. Mat burn will not only cause discoloration but will also make the paper brittle and weak, causing it to tear easily and leaving it open to further damage and deterioration. Discoloration is not always caused by acid mat burn. Certain mat types do not meet conservation standards, and the colors will bleed through the mat onto the paper. Leather mats, for example, seem to be a high-end choice; however, they are not archival-quality. Over time, a leather mat can cause acid burn damage, and the colorant in the leather mat is subject to bleeding, which may create streaks in the artwork or document being framed. Below is a picture of two framed diplomas. The one on the top was framed using a non-archival leather mat, while the one on the bottom was framed with archival cotton rag mat board. In just a couple of years, the leather mat has caused the diploma to turn yellow and discolor. Although a leather mat can give your document a unique appearance that stands out, it can cause irreversible damage. It is not recommended for use when framing valuable and historical certificates and documents, such as your diploma. A decorative mat board is made simply from paper and is not conservation-quality. The back is buffered with calcium carbonate to make it non-acidic. However, non-acidic does not mean the same thing as acid-free; over time, the mat board will return to its original state and can damage the artwork. While this type of mat is the least expensive and provides the greatest variety of colors and textures, it should only be used on pieces that do not hold significant monetary or personal value. There are two types of conservation-quality mat board—rag and alpha-cellulose—and both types meet conservation standards. The only type of naturally acid-free mat board is rag mat board, which is made from cotton. One benefit of rag mat board is that it’s natural, environmentally friendly, and easily renewable. Standard rag mat board is made with a 100% cotton core and backing and an acid-free, bleed-resistant colored facing paper. It’s more expensive than plain decorative mats, but there are several color and texture options to choose from, such as suede and linen. Standard rag mat board is recommended when framing fine art prints, photos, and valuable documents. When framing rare, historical, or antique artwork or documents, many conservators choose 100% rag mat board in which the face, core, and backing are all made of cotton and are one color (usually a white or neutral hue on the surface and all the way through). The second conservation matting option is alpha-cellulose mat board, which is produced using virgin alpha-cellulose purified wood pulp. The virgin alpha-cellulose has been treated to eliminate the acids and lignins that can degrade the mat board and the artwork. Available in more than 300 colors, this face color on this type of board is created with fade- and bleed-resistant organic pigments. Research has shown that alpha-cellulose boards with MicroChamber technology and zeolite counteract the effects of pollutants over time, including acidic gases such as sulfur dioxide and nitrogen. Bainbridge’s alpha-cellulose Artcare mat boards claim to proactively trap and neutralize pollutants and acid by products that damage artwork. Alpha-cellulose mat boards are appropriate for framing valuable art, important or historical documents, and photos or collectibles. For important documents and valuable artwork, you should always use conservation-quality mat boards as well as conservation-quality backing and mounting materials. These materials will not only give your piece a decorative look but will also keep your work safe and well-preserved for years to come. Our premium frames are showcased with the “Museum Quality” seal, which is your assurance that the conservation-quality matting, backing, and mounting materials included with your frame are lignin-free and meet stringent Library of Congress standards for document preservation. All of our custom-cut mats have a pure white bevel that will not discolor over time. 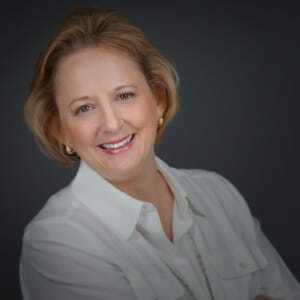 Lucie Voves is the President, Founder and CEO of Church Hill Classics/diplomaframe.com.